Alstom has secured a contract worth around €100 million for the supply of 38 trams to Frankfurt operator Stadtwerke Verkehrsgesellschaft Frankfurt am Main (VGF). 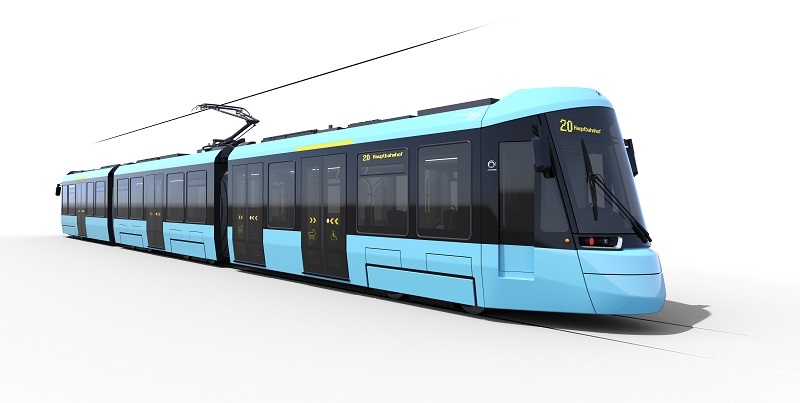 The three-car trams are from the Citadis platform and will be specially adapted for the German market. An option for an additional 15 vehicles is also included in the deal, as is the provision of training, equipment repair and warranty services. Alstom’s managing director for Germany Jörg Nikutta, who joined from Deutsche Bahn in September, said the order reinforces the global success of its flagship Citadis tram. The first two trams will be delivered in 2020 and run on Frankfurt’s existing lines to reinforce urban mobility in a city that is undergoing rapid growth. VGF’s new Citadis trams will be 100 per cent low-floor vehicles with large individual seats, passenger information screens and double doors for enhanced accessibility. They will be 31.5m-long and have a maximum capacity of 197 passengers. Driver assistance systems will also be fitted to the trams, as will automatic dipped beam and rain sensors. The vehicles will include four pivoting bogies to allow maximum vehicular flexibility and the carriages will be made of steel.